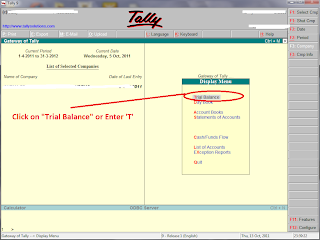 Home Tally How to View Trial Balance with Percentage in Tally ? How to View Trial Balance with Percentage in Tally ? 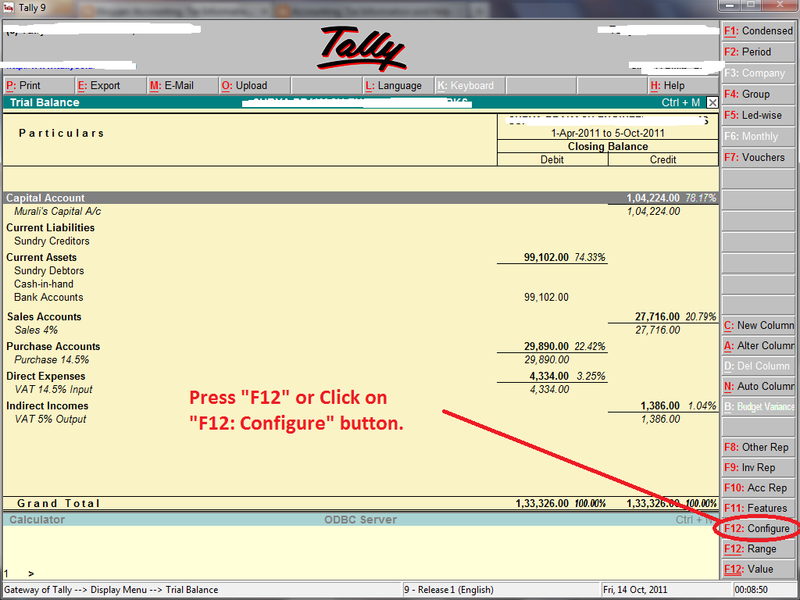 By Default Tally Displays Trial Balance with out Percentage. 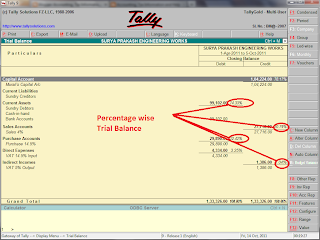 If you see Trial Balance with Percentage , Follow the following Simple Steps. 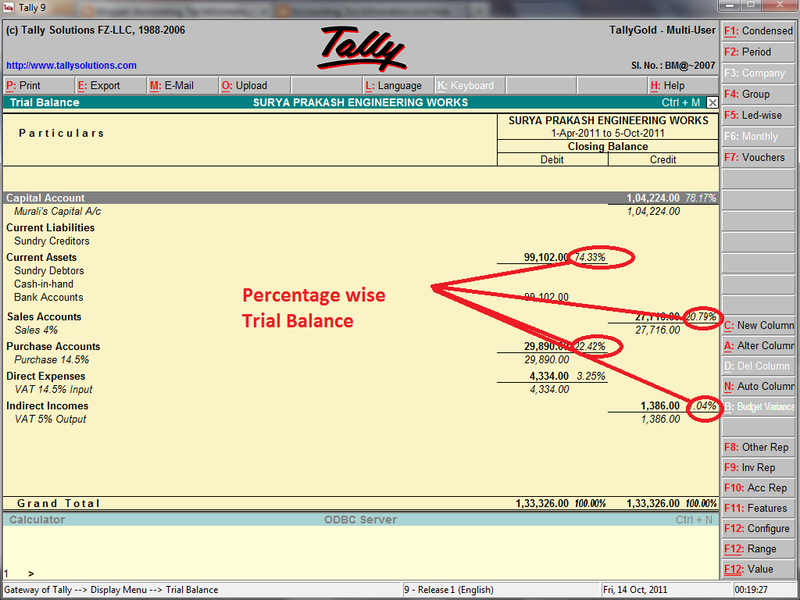 Now you can see Trial Balance without Percentage. 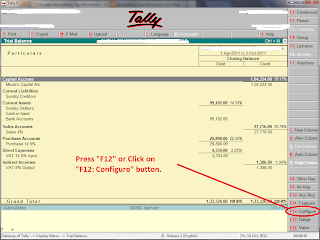 Press "F12" or Click on "F12: Configure" button on Right side Panel. 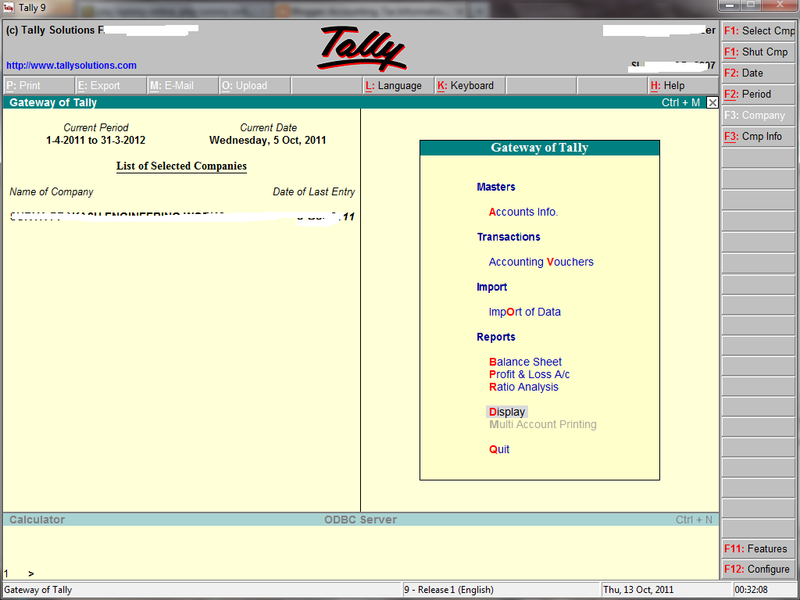 Tally displays the following Window. Press TAB Button 3 Times. 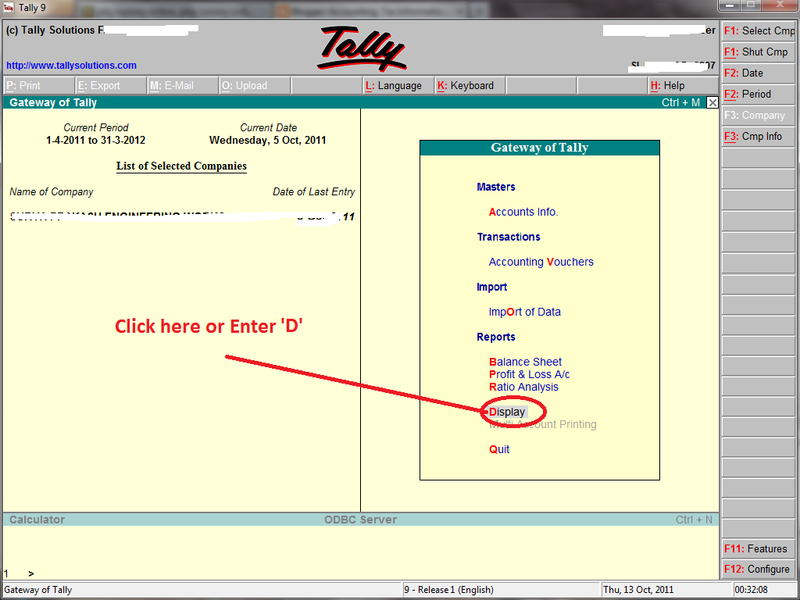 Enter "Y" then Press "Ctrl+A"
Now Tally Displays "Percentage wise Trial Balance".